When it comes to our drinking water, we want to make sure that it is as fresh and clean as possible. We not only drink water, but we use it for other things like cooking, cleaning, and bathing. Having clean and fresh water is important in order to stay healthy, cook, clean, and keep our plumbing systems running. While we tend to think that the water that we drink is safe and clean, our water can actually carry trace amounts of contaminants and toxins like arsenic, copper, lead, and even bacteria and viruses. Although water from the city goes through the municipal water plant, these pollutants and contaminants can still be found in the water. If you live in an area where you have to use well water, then there is the risk that there is evidence of salts, minerals, metals, farm chemicals, as well as pathogens and bacteria. Everyone deserves water that not only tastes and smells good but water that is actually safe to drink, which is why All About Plumbing & Septic is here to help. 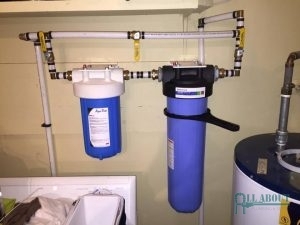 We are able to provide water filtration services in Mills River, Hendersonville, and Asheville, NC that vary from installing a whole house water filter to repairing a water softener. If you are wanting to know more about a water filtration system for your home or business, please dial 828-778-2425 to get a hold of one of our plumbers. With a Water Filtration System, You Can Have Better Quality Water for Your Home or Business. The most common reason why you need water filtration services is so your water is clean and safe to drink. Sure many people have been getting water from their kitchen sink for years and nothing has happened, but that isn’t necessarily true. The amounts of minerals, bacteria, and pollutants are small, but over time if you continue to drink it, there will be signs of issues that can lead back to the water. This isn’t to scare anyone, but to make people aware that while our water is clear, that doesn’t mean it doesn’t have something floating around in it. While this can be overwhelming to think about, homeowners and business owners do have options! They are able to invest in a point-of-use (water filter that provides water wherever it’s installed) and point-of-entry (water filter that filters water in the entire house). 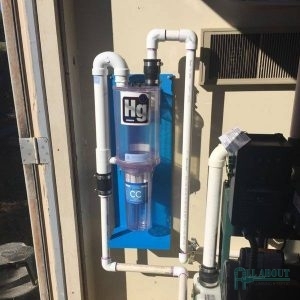 If you are still unsure whether you really need a water filtration system for your home or business, these are some of the things that can happen when our water is chock-full of chemicals and contaminants. Your water tastes bitter, salty, or has a metallic taste. Water in your toilets and bathtubs have an oily film on the surface of the water. You, your family, or employees are experiencing stomach issues. If your water has an odor that smells like rotten eggs. Your water cloudy or has a weird color to it. You are having to repair your plumbing systems and fixtures constantly. Your hair and your skin are very dry and brittle. There are water spots on your dishes, cutlery, as well as your plumbing systems. Your clothes are stained or faded after being washed. Your water has a gritty texture. If any of these sound familiar, contact our team today to get water filtration services in Mills River, Hendersonville, and Asheville, NC for your home or business. 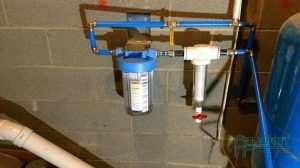 We can find the best water filtration system that will work for your particular problems and needs. There Are Different Types of Water Filters We Can Install, So Call Us Today To Learn More! Water filters come in different shapes, sizes, and uses so that homeowners and business owners can have an easy way of getting access to fresh, clean, and safe water. There are types of water filtration systems, point-of-use, and point-of-entry. Point-of-use refers to filters water right at the source and point-of-entry filters water in the entire house. Point-of-use water filtration includes water pitchers, on-counter filters, faucet filters, and under sink water filter system; point-of-entry includes whole house water filtration. At All About Plumbing & Septic, we are able to install and repair a wide variety of water filtration systems that include water softeners, well water systems, whole house sediment filters, mercury filters, and more! If you are interested in a whole house water filtration system for your home or business or you need your water filtration system repaired, we are able to help! Just give us a call at 828-778-2425 to schedule an appointment for water filtration services in Mills River, Hendersonville, and Asheville, NC. Whether you are wanting to get rid of hard water with a water softener or your well water needs a well water system, the plumbing contractors at All About Plumbing & Septic are here to help! We can come out to your home or business and perform a water test to determine if your water is hard, as well as the pH levels, and more! Based on what we find, we will be able to tailor your water filtration system based on your water’s needs. To get more information about our water filtration services in Mills River, Hendersonville, and Asheville, NC or to make an appointment, please call our office at 828-778-2425. We are ready to help your home or business get fresh and clean water today!